Another MFT Camp Create challenges is "Inlaid Made Easy"! I had never attempted inlaying a die cut on a card yet but had watched many videos doing so! 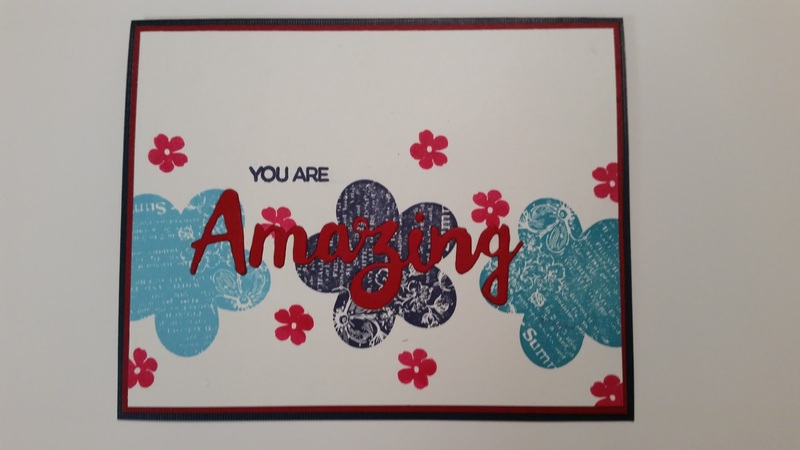 So I used the flowers from Stampin Up Posy Punch and stamped them across the front of a white card base & then die cut the word Amazing from MFT Stamps over top of them. The stamped words "You Are" are also from a MFT set. I collected all the bits & pieces from die cutting & put them back in place where they belonged across the card front among the posies. 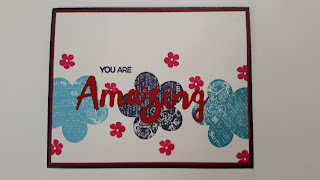 The inks I used to stamp the posies were from Colorbox & Versamagic. The only "goof" I feel like I made in making this card was the colors I chose. The Amazing die cut in red doesn't show up much when running through the middle posy! Oh well...that's what Camp Create is about right? Try & learn!! Thanks for stopping by! !